In May, Better Hearing and Speech Month is bringing awareness to every person’s right to communicate. At Craig Hospital, our Speech-Language Pathology Department staff are key members of our patients’ rehabilitation teams. For people who have sustained a brain or spinal cord injury, everyday activities like speaking, listening, writing, swallowing and problem solving can become skills that have to be relearned. 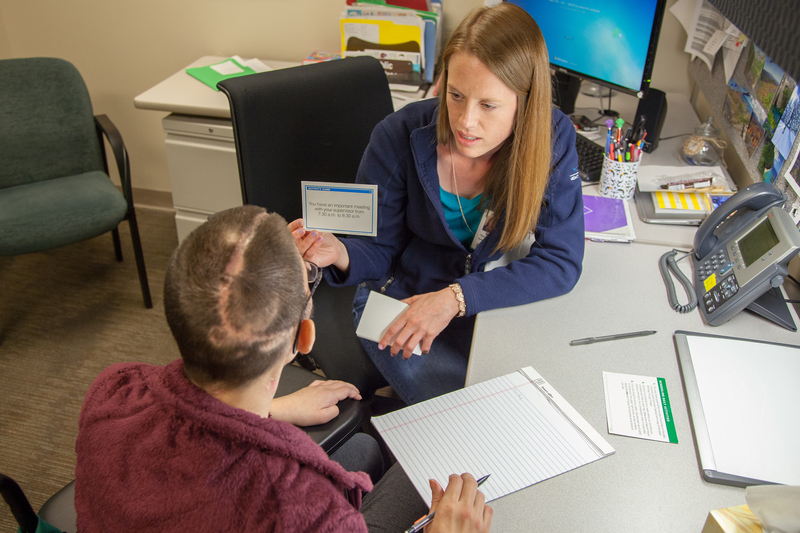 The Speech-Language Pathology (SLP) Department staff work collaboratively across Craig’s departments to facilitate the growth of cognitive and behavioral skills, learning strategies, communication abilities, and swallow functions needed to achieve the goals of our patients and their families. Although SLP is most often associated with rehabilitating speech and swallowing function, SLP therapists specialize in many different areas of therapy that are critical to engaging with the world around us, such as problem solving, learning new information, following instructions, airway management, and utilizing methods of communication like augmentative and alternative communication for patients cannot communicate in traditional ways. Often, personalized therapy means co-treating with many other departments at Craig, such as physical therapy, occupational therapy, therapeutic recreation and respiratory therapy, to enrich and customize therapy sessions to help patients and their families work on the goals that are most important to them, like independence, connection and safety. 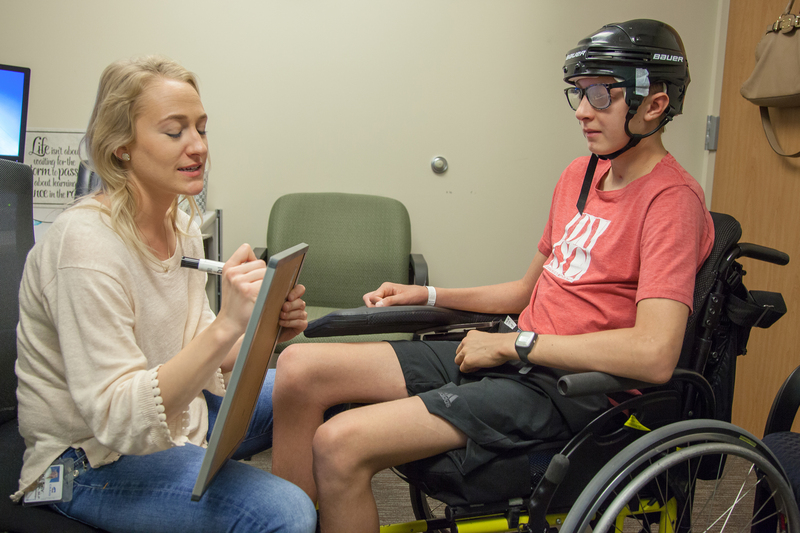 For example, in collaboration with the Assistive Technology Lab team, speech-language pathologists can help patients learn how to control their environment and connect with their family and peers by using technology. Family and community are key aspects of speech-language pathology therapy. 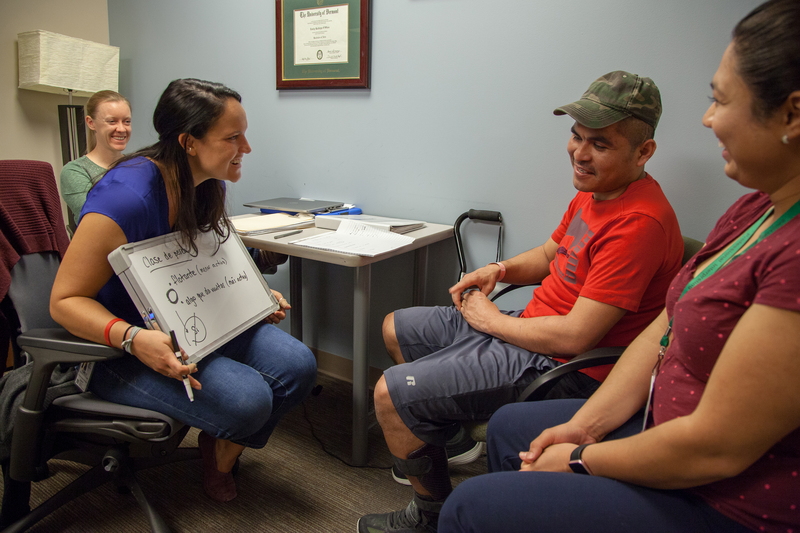 Since communication and cognitive skills are integral to how people engage with their communities and express themselves and their needs, the SLP Department has many different approaches to rehabilitating and compensating for these functions. In May, Better Hearing and Speech Month is bringing awareness to every person’s right to communicate.